MettleAir® designs and manufactures a full range of industrial grade pneumatic air control valves. These 2 Way 2 Position electrical solenoid valves are suitable for a wide range of applications. 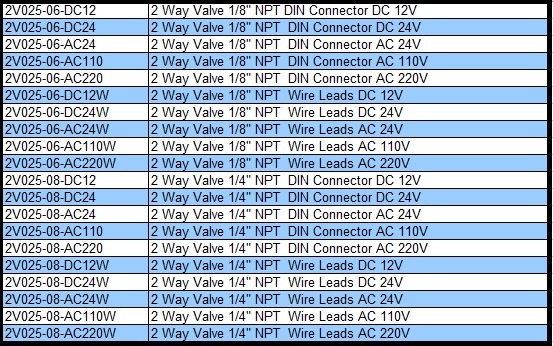 We can even change your standard coils to wire lead coils at no extra cost. All of our solenoid valves are compatible with a full line of MettleAir® manifolds and accessories. Our professional and knowledgeable staff are always happy to help you find the right valve for the job. MettleAir® valves are trusted by manufacturing facilities and automation experts from around the world.